The Growler Group (the “Group”) is a registered charity (no.702237). The object of the Group is to preserve, restore, exhibit and operate for the benefit of the public ex British Rail class 37 (English Electric) diesel locomotives(s) of historical interest. 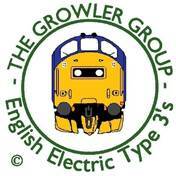 The Growler Group is the “Data Controller” (contact details in section 9). This means it decides how your personal data is processed and for what purposes. Personal data relates to a living individual who can be identified from that data. Identification can be by the information alone or in conjunction with any other information in a Data Controller’s possession or likely to come into such possession. The processing of personal data is governed by the General Data Protection Regulation (the “GDPR”). The personal data the Group holds about you is your name, postal address and may include your email address if you have provided it. The Growler Group complies with its obligations under the “GDPR” by keeping personal data up to date; by storing and destroying it securely; by not collecting or retaining excessive amounts of data; by protecting personal data from loss, misuse, unauthorised access and disclosure and by ensuring that appropriate measures are in place to protect personal data. From time to time, we may contact you to request that you check and validate the data we hold about you in order to ensure it is accurate. To inform you of news, events, and activities that the Group and its locomotives are involved in. Processing necessary for carrying out legal obligations in relation to Gift Aid. If we wish to contact you for a specific purpose other than the legitimate interest of the Group stated above (for example, an appeal for funds or a sales promotion) we will write to you requesting your consent to be contacted for such purposes. Your personal data will be treated as strictly confidential and will only be shared with other members of the Growler Group for purposes connected with the Group. We will not share your data with third parties without your consent. We will only keep your personal data as long as you are a member of the Group. Except for the following, all your personal details will be deleted 3 months after your membership has expired, to allow for late renewals. We retain gift aid declarations and associated paperwork for up to 6 years after the calendar year to which they relate. Sales records including your name and delivery address will be retained for a period of 6 months after delivery date and then deleted.